Once again the team at FloWave are very pleased to announce their participation in the Horizon 2020 funded MaRINET2 trans-national access programme. The programme supports technology developers to access top-level research facilities and infrastructures, and picks up the tab for the costs of access. FloWave is a full participant in the trans-national access programme and looks forward to welcoming a host of new developers into the tank. Funded access is subject to a straightforward application process, and access to each facility is subject to appropriate allocation of time and budget. Consequently interested individuals and firms should make contact with the infrastructure managers early in order to be in with the best chance for funded access. For FloWave the contact points are Dr Tom Davey (Infrastructure Manager) and Dr Jamie Grimwade (Technical Sales and BDE). “This ‘next generation’ step-change in test tank capability has already proven beneficial for a host of previous clients – including those testing under the first MaRINET programme – and we are pleased to say that all have gone on to then deploy devices successfully in the ocean.” Brown concludes. FloWave is the most sophisticated test tank of its kind in the world. 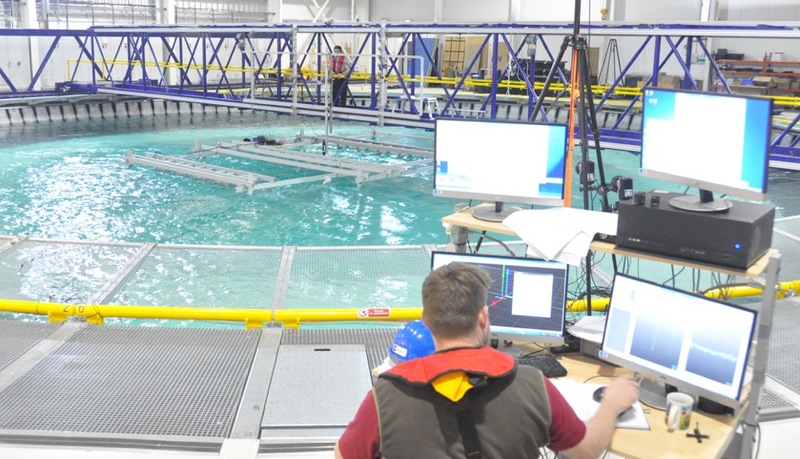 Through the MaRINET2 project and other collaborations FloWave helps ensure that Scotland and the UK remain at the forefront of ocean energy research, development and innovation.